I was smitten with this Traveler’s Pocket designed by Nancy Bush on the cover of Piecework magazine issue July/August 2004. I made mine out of denim yarn which, unfortunately, is no longer available. You can tell it’s stretched out and well used. I wanted something a bit bigger so I reshaped the pattern and added a gusset in the bottom. 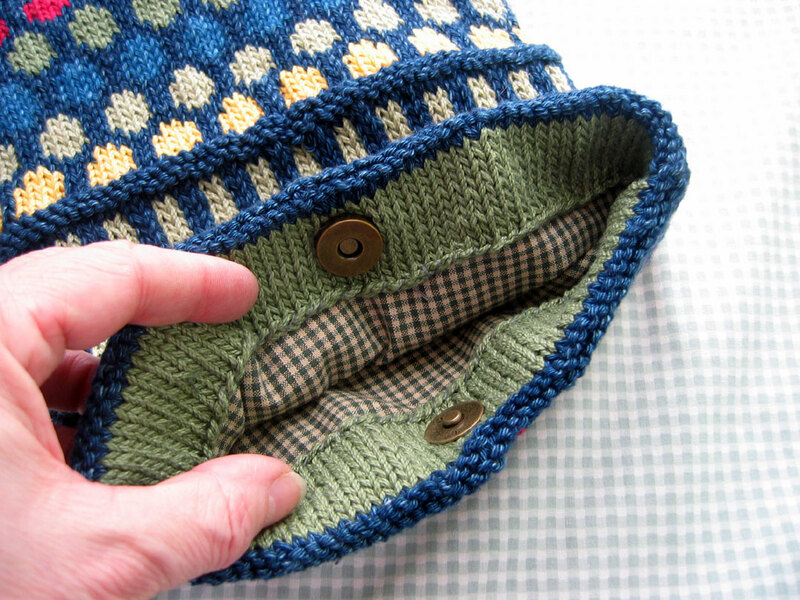 It’s also knit in the round however there is no seam to sew on the bottom. There is a seam at the top hem and optional lining. Finished size is 8 inches by 10 inches. I used leftover cotton yarn but this would look great in fewer colors. Like blues and greens, reds and oranges or purples or even self-striping yarn and a solid. This would be a great project to try stranded knitting. I have one test knitter but would like at least one more to make sure I have all the bugs worked out. Would you like to test knit this pattern for me? 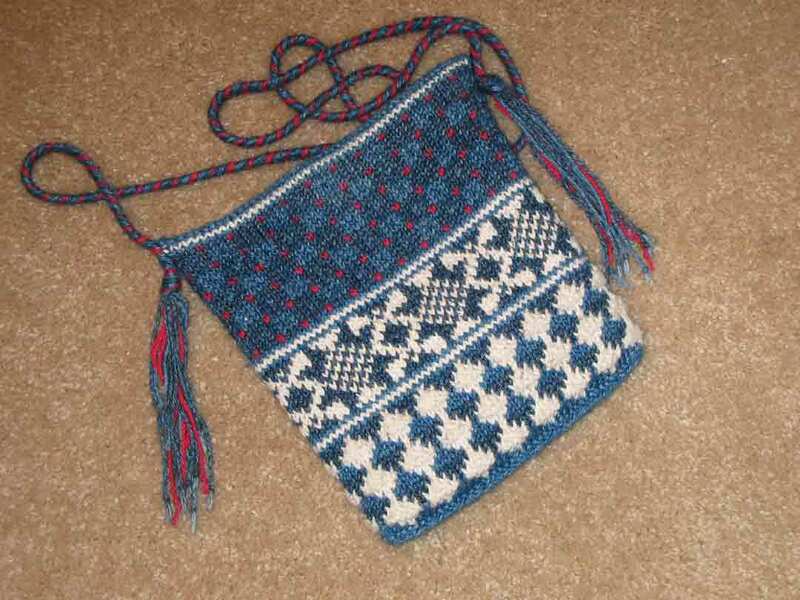 This entry was posted in knitting, pattern and tagged knitting, pattern, test knit by Patti_is_knittinginflashes. Bookmark the permalink. Hi there. I was tag surfing today and came aross your post. There is a group on Ravelry for pattern testing. They have a nice set of rules to make sure the designers and testers work well with each other. I have used it a couple of times as a designer and as a tester. Cute bag, by the way! Your bag looks so darn cute. 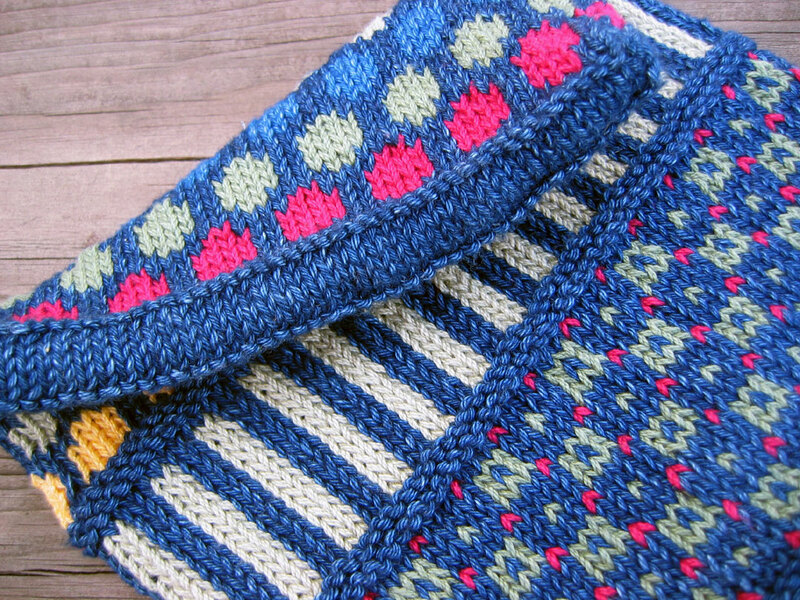 So finished and your colorwork is so nice. I am hoping that mine looks half as nice when it is all lined and done. 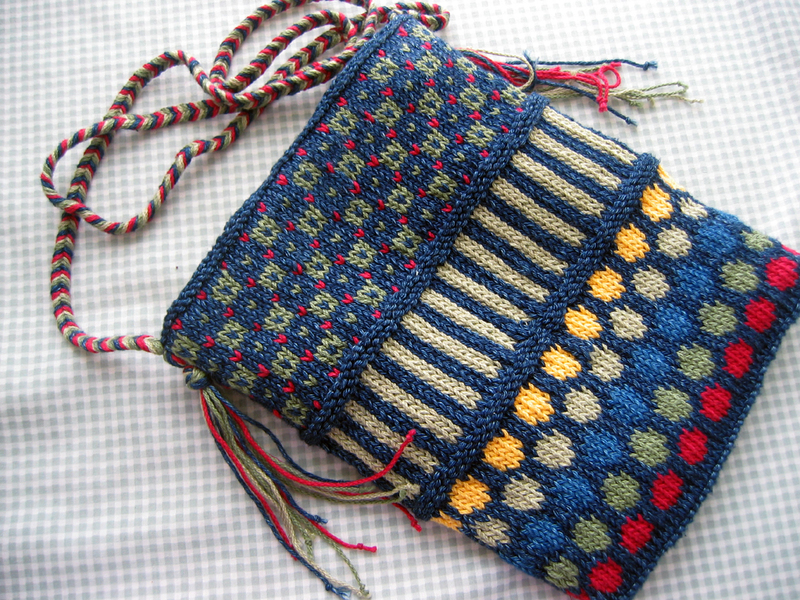 Gorgeous pattern, and I do love both color knitting and Nancy Bush. I would dearly love to help you test knit it, but I’m overwhelmed. I look forward to seeing your pattern when it is available!